Plan your trip soon, and become part of the story. The story of the Smithfield Station in historic Smithfield, VA is a story of dedication, heritage, history, and most of all family. Early in 1983, Ron and Tina Pack were on a boat cruise with friends in the upper Chesapeake Bay. 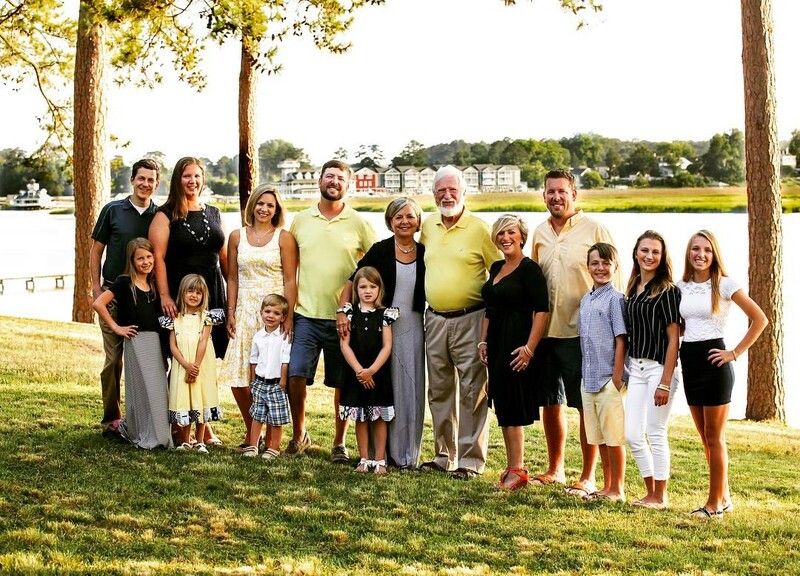 During that cruise, it became apparent that their newly adopted town of Smithfield was every bit as nice as the popular destination points of the upper bay communities. It became their dream to provide a truly exceptional experience for their guests and to establish Smithfield as a historic destination just as nice as neighboring waterfront communities. Smithfield Station’s Traditional Rooms are located in The Inn, which is built entirely over the water and sits on 110 piles that are 88 feet long. This building was modeled after the old Coast Guard life saving stations that proliferated the coast of Virginia and Outer Banks of North Carolina, hence the name “Station”. In November of 1986 the Pack family completed construction on the main building and opened the Restaurant, Hotel and Marina featuring a 150 seat dining room, 15 hotel rooms and a 27 slip marina. The award-winning restaurant at Smithfield Station, was designed to provide a dining experience that takes advantage of Smithfield’s two most well known culinary commodities, Smithfield ham and fresh local seafood. The truly unique dining experience is accented by the scenic river views, full service bar, outdoor waterside seating, and a wide variety of local entertainment and live music. Change is the only constant with the Pack family and in 1994 Smithfield Station constructed and opened the now famous Lighthouse at Smithfield Station. The Lighthouse is the only lighthouse on the East Coast that offers overnight accommodations and is a must-stay for any lighthouse enthusiast. The Lighthouse is a reproduction of the lighthouse from Hoopers Strait in Maryland that is now a part of the Maritime Museum in St. Michael’s, Maryland. Several historic lighthouses of similar design were constructed on the James River, but since all have been destroyed. In 2001 the Pack’s transformed one of the dining rooms and tiny bars into The Inner Banks (IBX), a more informal bar and grille with its own menu and live entertainment. IBX has become a favorite watering hole for locals and visitors alike. In 2001 and 2003 respectively, a new generation of Pack’s, Randy and Brian, became fully involved with the business. With the addition of these two brothers, it seemed the ideal time to once again expand Smithfield Station with the creation of the Lodge. The Lodge added 22 deluxe luxury rooms to the Inn. These rooms were designed to be a world-class lodging experience featuring hand-crafted cherry wood furniture, upgraded bedding and linens, oversized bathrooms (some featuring Jacuzzi tubs), electric fireplaces, HD LCD Flat Panel TVs, granite accents, and most with private walkout balconies. In addition to the rooms the Lodge building also added the much needed hotel lobby, boardwalk retail shops, conference rooms, elevator and additional marina slips. Smithfield Station is still growing today as the Pack’s continue to look for new ways to deliver the ultimate travel experience for their guests. The amenities, services, and facilities are constantly evaluated and upgraded to guarantee the best that historic Smithfield, VA has to offer.